You have stage 4 breast cancer. The news from the doctors isn’t good. You get word that the painful pleural effusion in your lungs means you need to have a catheter placed in your chest wall so the fluid causing your pain can drain. And then your car breaks down. It has to be towed, leaving a puddle of coolant on the pavement where it was parked. The news from the mechanic isn’t good: $650. Where will THAT come from? This is Rachel’s story. Rachel is 36 years old and has been living with breast cancer since 2013. Her kids, ages 16, 15, 12, and 6, have been living with breast cancer since then, too. They live in the Phoenix, Arizona, area. When you have stage 4 breast cancer, treatment never stops. When one chemo regimen stops working, you’re switched to another one that you pray stops the progression of the disease. And the bills pile up. Most likely, a stage 4 gal dramatically cuts her work hours back. Or she may have to stop working altogether. Rachel works 8 hours a week when she’s feeling up to it. She’s not up to working this month. As the sole breadwinner in her family, it’s an understatement to say that money is tight. That’s where Provision Project steps in. Yes, we could just call the mechanic and pay the bill. But we know that people are inherently good-hearted. They would like to help, but they sometimes need to know HOW to help. A member of our leadership team went to talk with the service manager at AAA Arizona in Mesa, the auto repair shop where Rachel’s car had been towed. He didn’t know Rachel’s story, so we shared it. And then we asked if we could work together to give Rachel and her kids a safe vehicle. We challenged him not to just think about repairing the coolant issue but to take a hard look at her vehicle and to repair what was essential on the car. He agreed to take a look at the vehicle and get back to us. By the next day, Jeff, the AAA Arizona service manager, called us back to give us an update. Yes, the heater hose assembly needed to be replaced. He was willing to comp the service … and he had convinced his parts suppliers to comp the parts. Check. But there were a few more safety issues that needed to be handled. Control arms replaced. Check. Motor mounts replaced. Check. Sway bar bushings replaced. Check. Brake job. Check. Alignment. Check. Safe car. Check. The repair came to $1964.68. Rachel’s cost? Jeff caught the vision. In one day, he had moved mountains! Once he understood Rachel’s situation, he convinced his AAA management team and the folks at Factory Motor Parts and San Tan Ford to pitch in to help Rachel and her family. He did what he could. And he made a difference in the lives of Rachel’s family. A BIG difference! 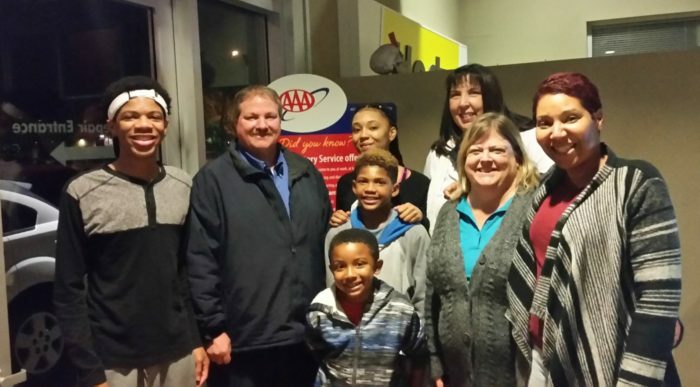 Provision Project was there when Rachel and the kids picked up her car from AAA Mesa. There wasn’t a dry eye in the shop. And today Rachel told us that the car now runs so quietly, she can’t even tell when it’s running. Now she can focus on her kids instead of her car problems. Merry Christmas, Rachel! (Rachel still needs two front tires, but we’re working on that, too). Provision Project’s Helping Hands Program matches women who need home or auto service with small local businesses in many industries. If you know of a business that would like to be considered as a Helping Hands partner, please email jan@provisionproject.org. 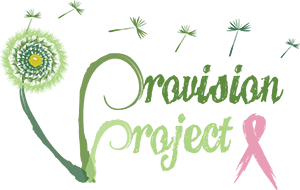 Provision Project serves women across the country.